“Recalling a golden era of European 70′s prog with a touch of Primus, Ween and Eastern European folk, Humble Grumble is without question the most dynamic, musically diverse group to have sprung from Belgium in over a decade, putting on the shows of utmost versatility and unforced originality.” These are the words that describe the Ghent based octet, and once you hear one of their albums, you cannot but agree with the statement that their progressive rock is diversely original. 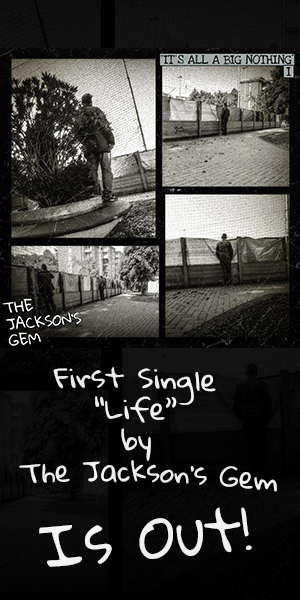 Although they formed in 1996, their first album did not appear until 2005. Guzzle It Up! is their 4th album, and carries on the upward curve from 2011′s Flanders Fields. The band is currently gearing up for two performances in Hungary, later this month – a solo concert in Budapest on April 30th and a performance on the Mediawave festival in Komarom on May 1st. 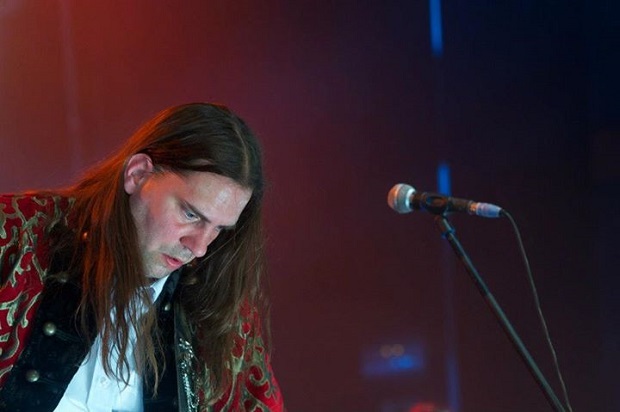 In a short interview, Humble Grumble‘s main-man Humble Gabor Voros talks with Prog Sphere about his work with Humble Grumble. Define the mission of Humble Grumble. Humble Grumble’s mission is making music. Simple as that. I don’t think you’ll hear any of our tunes in a shopping mall though, it would put you off your shopping list. In the first place, what was it that inspired the band’s inception? The thin line between sleep and wakefulness. What evolution do you feel Guzzle It Up! represents comparing with your previous albums? It’s like climbing back up the tree and not intending to come down again. We have a good look at everything below us, fresh breeze blows our faces and joy spreads in our souls. Did you map out any of the elements before starting to write Guzzle It Up!? Breaking down the album’s structure, it’s easy to notice that each one of you have parts where your instrumental work is absolutely stunning. What is your way of putting these improvised instrumentations in an entity called song? There are many varied music elements threaded through your music. Where do you draw your inspiration from and how do you go about channeling that inspiration into songwriting? I hear the songs in my head before I put them down, but when I introduce a composition to the band, they have their own ideas. I let them express themselves and contribute to the tunes, we work together in harmony. We inspire each other. All elements are welcome I believe, we don’t really think of it very technically. It’s just a whole lotta fun! What are some of the biggest challenges you face when writing? What do you find most gratifying about the writing process? Well, you won’t believe it, but soon as I start writing a regiment of giants come to wrestle me. Then I have to cross an abyss on a long rope bridge guarded by fire spitting dragons and eventually make love to a nymphomaniac princess. When I passed that, I get to writing my song in peace. Did your writing approach change over the course of time? What other non-musical entities influence the inception of your music? What? I thought everything was music. [laughs] Gardening for example is a major7. Everything can influence writing, composing. How does the band’s name reflect on the music you compose? I think if you listen to any Humble Grumble song carefully you can see the little humble dog hiding behind your wardrobe grumbling at you. Considering the music itself, it must be great fun performing these tunes live. How does it feel on stage? It feels absolutely fantastic to perform this kind of music! It’s physically and mentally hard though, but we only notice afterwards. You have two scheduled shows in Hungary at the end of April and in May. What can you tell me about these events? Are you preparing something special for these dates? The first Hungarian show in Budapest is actually a general LIVE rehearsal before playing the headline on Mediawave Festival in Komàrom. Are you working on any new Humble Grumble material at the moment? Yes, I’m constantly busy in my head but at this moment I’m recording with Follia!, an eclectic Folk-Rock band with a bit of a jazzy touch. When we finally release the CD I can pick up with Humble Grumble again. 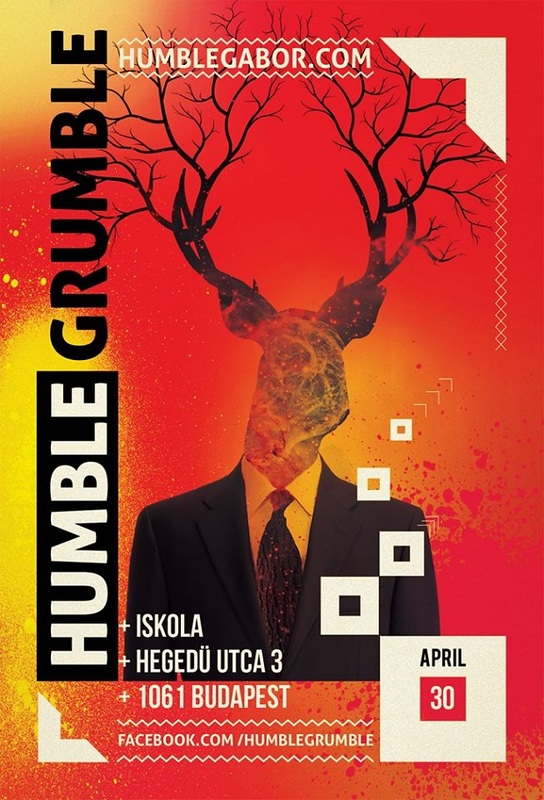 Humble Grumble will do a full time international touring. We keep getting invited to play abroad, even very far, so it’s a matter of organization. If the management issue gets sorted out, we hit the road.